Pantheon Donors. $10,000 or more. This will pay for layout, design, and other pre-publication work for the book, in French and English, or for preliminary funding for our international conference. Pre-publication Pantheon Donors: Acknowledgment in the book. All Pantheon Donors: Acknowledgment on our web site. Donors tour and lunch in Paris with Leonard Pitt or Mary Campbell Gallagher. Multiple copies of the book. Generous discount thereafter. Luxembourg Donors. $5,000 or more. This gift will help ICPP pay for web design, printing, media events, and shipping. Pre-publication Luxembourg Donors: Acknowledgment in the book. All Luxembourg Donors: Acknowledgment on our web site. Donors tour in Paris. Personal inscription by the editor. Multiple copies of the book. Generous discount thereafter. Vosges Donors. $1000 or more. This will help ICPP sponsor public events celebrating the publication of the book and featuring speakers on architecture, planning, and development. Pre-publication Vosges Donors: Acknowledgment in the book. All Vosges Donors: Acknowledgement on our web site. Personal inscription by the editor. Three copies of the book. Generous discount thereafter. Carnavalet Donors. $500 or more. All gifts will help ICPP support its continuing programs of public information and education, promoting the traditional architecture and planning of Paris. Pre-publication Carnavalet Donors: Acknowledgment in the book. All Carnavalet Donors: Acknowledgment on our web site. Generous discount for copies of the book. Richelieu Sponsors. French departments in colleges and schools can qualify for listing in the book and on our web site as Richelieu Sponsors with a donation of $500 or more. Generous discount on multiple copies of our book. Opportunity for ICPP officer to speak to students about development in Paris. 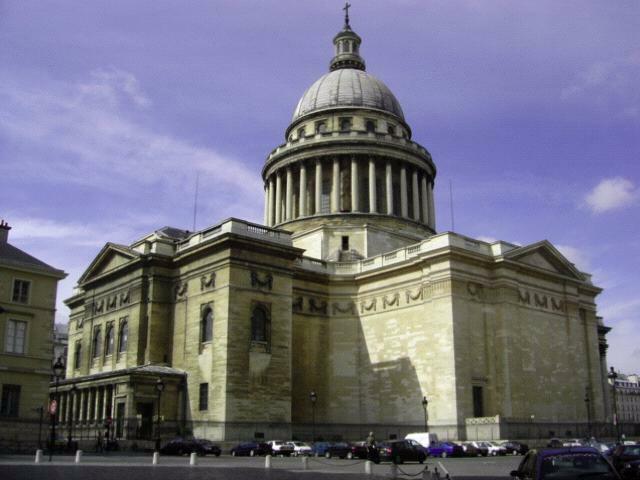 Thanks for the image of the Pantheon go to ParisWalkingTours.com.